Mrs. Leon Reinach born Beatrice de Camondo her children Fanny and Bertrand Reinach the last descendants of the benefactor and Mr. Leon Reinach were deported in 1943-1944 and died in Auschwitz. Twenty-two years ago, my stomach was growing on a daily basis - not because I was eating loads of milk chocolate in Switzerland but because I was pregnant with our son. As we crossed potential baby names off our list, friends and family asked about the remaining possibilities and offered their opinions. Michael - doesn't sound good in French; Brandon - too American; David - too Jewish, a comment that was also made about Joshua, Daniel, Joseph and any other names associated with the Old Testament. So, it didn't come as much of a surprise when our guide concluded the tour of the Nissim de Camondo museum yesterday by telling us that some French people still wouldn't want to give their child a Hebrew name. What was most sobering about this statement is that we were standing in the bedroom of Nissim, who was killed while fighting for France in World War I and whose sister, Béatrice, died in Auschwitz on January 4, 1945. To truly appreciate this gem of a museum and its exceptional collection of 18th century French decorative arts and furnishings, it's crucial to know a bit about the history of the Sepharadic Jewish family, known as the Rothschilds of the East, who left their sumptuously furnished mansion to the French government. After fleeing Spain in 1492, the Camondos established themselves in Venice before moving to Constantinople (Istanbul) and became bankers to the grand vizirs of the Ottoman Empire. As their fortune increased, the family made significant contributions to education and public service in Constantinople, for which they are still recognized. In 1868, the Camondos transferred their holdings to Paris, where Count Moïse de Camondo acquired one of the world's finest collections of 18th century French furniture and artwork. When his only son and remaining male heir to the family fortune, Nissim, was killed in an air battle in 1917, Moïse bequeathed his mansion and collection to the Musée des Arts Décoratifs after his death in 1935. His only stipulations were that the house was to be maintained as a museum named for his beloved son and that all of the objects should be left where he originally placed them. The photo of Nissim on Moïse's desk is a poignant reminder of the ultimate sacrifice that this Jewish family made for France. Tragically, even though Moïse's only daughter, Béatrice, had converted to Catholicism prior to the German occupation of France and believed that her wealth and position in society would protect her from the Nazi roundups, her family was arrested and sent to Drancy concentration camp. They were deported by the Germans and died at Auschwitz. If you're interested in learning more about this period in French history, The Hare with the Amber Eyes tells the story of a wealthy Jewish family who were the Camondo's neighbors. Even though this book has been on my list for quite a while, I'm pleased that I waited to read it until after my visit. Another one that was recommended is Pictures at an Exhibition. When you visit the Musée d'Orsay, be sure to look for the paintings by Manet, Monet, Cezanne, Degas and Renoir that Isaac de Camondo, Moïse's cousin, bequeathed to the Louvre. He also donated hundreds of pieces of Asian art that are now at the Musée Guimet. A future post will feature some of the exquisite items on display at the Nissim de Camondo Musuem. Thanks for visting and leaving a comment, Karen! I'm both interested and intrigued by your Jewish History tour of the Marais. I'm going to send you an email now. I've had this museum on my list since reading about it in 'Le Flaneur' (E. White). After reading your post we'll move it higher on the list! Take care and thanks for the great info and photos. If you like decorative arts and want to feel as if you're stepping back in time, I highly recommend this museum. Plus, if the weather is nice, you can combine it with a stroll through Parc Monceau. I'll have to add Le Flaneur to my list of "must read" books. I shall out for those books you mention. It truly is a poignant story. I don't know if it's because our guide told us about the Camondo family before our visit, but I felt as if the museum is also tinged with sadness, not that it in any way detracts from the experience. An interesting history. And I love that desk! I just caught up with your posts--I had really missed them. Good to be back. Big hugs, Joseph!!! I've missed you! Other people have as well. My family asked in a rather accusing tone what I had done to upset you. When I explained that you were traveling, they didn't really believe me. You were in my thoughts while I was visiting the museum because there are so many items that you would like. I was actually waiting to do the post about the collection until you got back. There are a couple of tables with Sevres porcelain on the top. One "plate" even detaches from the top of the table so that it can be used as a tray. OK, I'm going to go see if you've updated your blog. I look forward to reading about your adventures in Mexico. That is all very kind, thank you. 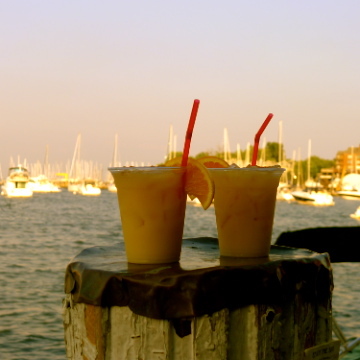 It was challenging to keep up with the blogging world there--so many turtles to save, so many margaritas to finish. And the town was just wonderful, I'm still marveling at the adventure. I'm looking forward to the future post on the museum's furnishing, really interested. I'm happy you're back home! Nice to read your blog about the Musee Nissim de Camando. Just a little correction: Beatrice de Camando did not convert to Catholicism. You may be confusing her with her aunt, Elisabeth de Forceville, born Elisabeth Cahen d'Anvers who was deported and died somewhere between Drancy and Auschwitz despite the fact that she had converted to Catholicism some fifty years before. Note that Elisabeth is the little girl with the blue sash in Renoir's famous double portrait known as "Pink and Blue" paintind in 1881. A convert to Catholicism, Beatrice Camondo Reinach felt safe in Paris after the Nazi occupation. Divorced from her Jewish husband Leon Reinach, she believed her wealth and the influential people she rode horses with in the Parc Monceau would shield her from being taken. In the Musee Nissim Camondo, on the top floor, is a letter from her ex-husband telling Beatrice to leave Paris with their son and daughter. She disregarded his advice. In 1943 Beatrice, her two children and ex-husband Leon were arrested, taken to Drancy and eventually perished in Auschwitz. In 1943, under the German occupation of France during World War II, Béatrice, her husband and their two children were forcibly removed from their Paris home and taken to the Drancy deportation camp north of the city. From there, they were deported to Auschwitz concentration camp where they were all killed. Also, thank you for the information about Elisabeth Cahen d'Anvers. I didn't know that she's the little girl with the blue sash in Renoir's painting! Far too little is made of the willingness of the French to collaborate with the Nazis in "The Final Solution." While countries like Hungary tried to shield their Jews, the French bureaucracy, and notably the French police, actively sought out its Jews, stripped them of their possessions and rights, imprisoned and deported them to the slaughter that was Auschwitz-Birkenau. What makes the Camondo story all the more poignant was that this family gave so much to France, including the life of Moise's beloved son, Nissim. It was no wonder that Beatrice did not heed her husband's warning. How could she believe that her country of birth, the country to which her family had donated priceless art and support, and who counted Parisian aristocracy as among her friends, could be in any danger of betrayal. It is no small coincidence that on the travel site Tripadvisor almost all of the contributors giving negative reviews of the Musee are French. The Musee Nissim Camondo is more than a museum, more than a collection of art. It bears testimony to the depth of prejudice, resentment and inhumanity that finds expression even now. Very well said Lawrence Rosencrantz. The echoes of anti-semitism that under-pinned the Dreyful affair were still to be heard and felt in the lead-up to WW Two, with the result that Vichy French police collaborated with their Nazi over-lords, rounding up Jewish children and adults and deporting them. Many perished in Hitler's concentration camps. Sadly, anti-semitism still persists today in France and elsewhere. Apologies, that should read "Dreyfus Affair." I have never heard of an explanation as to what ever happen to the wealth of the Comondo family after WW11 ? Yes, that is what I have been asking also. Aside from the objets d'art in the Musee Camondo, what happened to their bank accounts, cash, house near Nice, etc.? And how did the family home by Parc Monceau survive thru the Nazi-Vichy realm? Louise Cahen d'Anvers, who is the golden-haired lover of Charles Ephrussi (as is described in The Hare with the Amber Eyes) is the mother of Irene Cahen d'Anvers, the wife of Moise de Camondo. Through Charles, Renoir depicted all three of Louises children: Elisabeth and Alice in the double portrait mentioned here above, and Irene in a beautiful solo portrait. I do think Beatrice converted to Catolicism (I believe it was said in the museum's exhibition, and it can be found in various books) Maybe like her mother Irene, who also converted to Catholicism upon her marriage to Sampieri.